The traditional design to be presented. Shown in colorful garden flowers of the season. These can be created any size for any age. Presentation bouquet shown adult sized at app. 30″+ long. 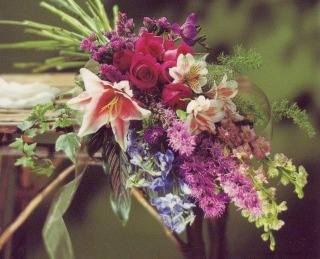 All presentation bouquets can also be made in forever silk flowers.